Bare Escentuals, the mineral makeup pioneer, invites you to shake things up and sound off on topics that are more than just skin-deep with their new campaign, Rethink What Matters. Each week at RethinkWhatMatters.com, a new discussion topic is featured with 5 questions for all to answer, share with their friends and have the chance to instantly win free products and other fun goodies! New topics and products will be featured weekly until the end of March, posted each Friday to the site. This week’s topic is “Rethink Your Must Haves”… mine? Hugs and kisses from my girls. Lip balm. And yours? Bare Escentuals is giving two of my readers their new RareMinerals Eye Cream! What is it? RareMinerals Active Triple Treatment Eye Cream is a daily multi-benefit eye treatment that delivers the top three essentials to keep eyes looking youthful by diminishing the appearance of fine lines and wrinkles, restoring firmness and reducing puffiness. Our RareMinerals ActiveSoil Complex, which functions as mineral electrolytes when in liquid form, harnesses the skin’s own power to absorb and retain moisture while also effectively delivering essential minerals and nutrients to the skin. The addition of Marine Peptides help strengthen and contour the appearance of the eye area for increased firmness, while also reducing the appearance of dark circles and puffiness by flushing out underlying pigment and toxins to rejuvenate the eye area instantly and over time. To enter to win, please leave a comment on this post – what are you rethinking? If you can’t wait to see if you’ve won to try out this cream, it’s available starting this month at: Bare Escentuals Boutiques and BareEscentuals.com; Sephora and Sephora.com; Ulta; and select Nordstrom stores nationwide, for a suggested retail price of $28.00. Subscribe to my feed by feed reader or email (or let me know if you already do). Grab my button (at the bottom of the page) and link to me in your sidebar or blog roll. Bare Escentuals provided me with the information above, as well as two samples for giveaway and one for myself to keep, at no cost to me. Contest ends March 2nd, 2010 11:59 pm EST. US entries only. One person per household may enter. Leave a separate comment for each entry & a valid email address. Winners, chosen at random, have 2 days to claim their prize. We’re rethinking a lot in our house right now! We’re rethinking our finances and moving to a cash only system. I’m also rethinking my diet/health and am working on losing the excess weight and being more active so that I have more energy to keep up with my amazing daughter. I subscribe to your feed reader. I am rethinking my eating habits to try and reconstruct my life in a more healthful manner. I turn 50 this year so I’m rethinking priorities and values. Also following bare escentuals on twitter as ky2here1. I’m rethinking the way that I organise my time. I connected with Bare Excentuals on both Twitter and Facebook. We are rethinking our budget and trying to be more responsible with our grocery shopping. I am rethinking my eating habits and lack of exercise due to a recent health finding. Only 4 weeks into it but I am finding I am feeling much better already. .-= jeanne´s last blog ..(2/28) Networking Witches ~ Net Carolina Pad Spinners Giveaway =-. I am re-thinking my weight goals and trying to be more healthy. i have been thinking about whether i should get a pt job…a little extra pocket cash and a much needed adult break. I am rethinking what matters most to me – having a clean, orderly house, or having a happy family. Because it doesn’t always seem possible to have both. I am rethinking how important getting everything done that I plan to do in a particular day is. I want to slow down. Right now I’m rethinking ham or turkey sandwich………..joking aside I’m rethinking our finances and going cash only. My must haves are my pets! Im rethinking how to make the most of my life! I’m rethinking how much “stuff” I need to hold on to. Thanks for the question; it’s good to do a little self-examination. .-= Charlotte Prescott´s last blog ..Lost Drinking Game =-. rethinking about my whole life actually but mostly need to find motivation to get healthy again. Current way just not working. At my age, I’m starting to notice that I’m aging around my eyes. I need to rethink what I can do to correct this. I am rethinking my exercise goals for the year. 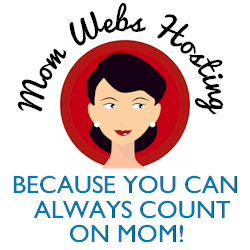 .-= Janet F´s last blog ..Hostess Shoot for Riches Sweepstakes =-. .-= Lynn Matthews´s last blog ..Ladybugs and Tonka Trucks: Threadless Tee’s Giveaway!#comment-form =-. I am rethinking my career and future plans! I am rethinking the cluttered mess my house has become.Time to get rid of a lot of unnecessary stuff! I am rethinking the family reunion I was planning. i am rethinking that i need to clean out my messy closets. I rethinking my health. I need to exercise more and eat a whole lot less. I’m rethinking my marriage of 32 years. After the kids have all moved out, I realize that I can’t stand the dope I’m married to. I’m rethinking my health – time to be healthier! I am rethinking eating fast food. I’m rethinking the third cup of coffee I’m drinking right now! I am rethinking my stand on BOTOX! I am rethinking my retirement-I don’t think I can! Thanks! I am rethinking my building a back porch project idea. Thanks for the chance. i am rethinking my living situation!! .-= courtney´s last blog ..Erno Laszlo Firmarine Treatment Bar Review + Giveaway =-. I am also rethinking my career. I’m rethinking what I want to use on my skin because it is so sensitive. I’m rethinking living in the snow belt. I’m rethinking my job situation. I am rethinking my location, a move may be in order. I am rethinking my kitchen and how to fix it! I’m rethinking my schedule and how I need to rethink my priorities. Thanks for the giveaway! I’m rethinking how I interact with people. I need to speak my mind more. In a polite way, of course. I am rethinking my goals. I am rethinking my diet, too much sugar and not enough veggies. I follow BareEscentuals on Twitter as suebaby05. Facebook Fan of Bare Escentuals Cosmetics. I am rethinking what is my “happy”weight! I’m rethinking the way I eat! .-= Amy´s last blog ..She Can Melt My Heart… =-. I’m rethinking my approach to keeping my house clean. .-= Lesa McMahon´s last blog ..EraserDog – Math Worksheets =-. Subscribe to RSS via Google Reader. I’m rethinking my bathroom….maybe some new tile. I am rethinking about what I am going to do with the rest of my life. I”m rethinking my career choice. I’m a facebook fan of Bare Escentuals. I am rethinking the foods we eat.. we eat health but need to be healther foods and trying to stay local. .-= brooke´s last blog ..Lil Kiwi test results and a family in need of prayers =-. Thank you for the giveaway. I am rethinking our life goals in general and trying to work on a better future. .-= michele´s last blog ..Pirate’s Booty GIVEAWAY! Ends 3/15 =-. I’m rething my living room furniture arrangement. Thanks. im rethinking my career choice and thinking about going back to school. I rethinking my approach to health eating, things like organic or not. .-= Martha Payne´s last blog ..Sweeps Notice – Two ecoTOOLS 6 Piece Eyebrush Sets @ Verging On 40 =-. I’m rethinking all my skin care products. I recently just spent $100 on new skin care items! Hope they work or it looks like i will be rethinking all over again…. I’m rethinking my haircolor…it’s time for a change, i want to feel beautiful when i walk out that door! Subscribed to the RSS feed! Following Bare Escentuals via Twitter. Fan on Bare Escentuals Facebook. I’m rethinking if maybe I should go back to school so I can join the working world. .-= Becky´s last blog ..T-Ball =-. I am rethinking my career and am SO excited! I am rethinking my son’s poor sleep habits. Perhaps we should try the ‘cry it out’ method again? I’m rethinking my hairstyle. It’s time for a new look. I am rethinking my haircut that I just got. I think I should have gotten it shorter. I’m re-thinking my career, thanks! I’m rethinking my career. I want to change jobs but am hesitant yet excited about it! Right now, I am rethinking my weight, need to lose about 20 pounds! I’m rethinking my 5-year plan. .-= Quanda´s last blog ..Support WomenHeart Today! =-. Have button on my sidebar. Follow @BareEscentuals on Twitter- Naddez. I’m rethinking my purpose in life. I’m rethinking my dietary habits. I am rethinking my wardrobe. I became a fan of Bare Escentuals on Facebook. I am rethinking my style. Thanks!